Hyperthyroid patients can and do gain weight! You are NOT crazy if this is happening to you and it can be explained perfectly with science. Believe it or not, weight gain in hyperthyroid patients is actually quite common - with reports showing as many as 50% of patients who deal with this particular issue. We need to understand WHY this happens in order to figure out how to fix the problem and help you lose weight. Can Hyperthyroidism cause Weight Gain? ​This is something I hear quite frequently from patients with hyperthyroidism and it's worth a discussion. How is it possible for someone diagnosed with HYPERthyroidism to gain weight? Isn't hyperthyroidism supposed to cause weight LOSS? You might think so, but if you look at studies they show that almost 50% of hyperthyroid patients become obese after treatment (1)! That's a HUGE increase and the majority of this increase occurs within the first 2 years of diagnosis. First, when we refer to hyperthyroidism we are referring to a condition in which your body is naturally producing too much thyroid hormone. This is the exact opposite of the condition hypothyroidism which means your body isn't producing ENOUGH thyroid hormone. Now things can obviously get more complex than this - for instance how your body is using the thyroid hormone floating around, but let's ignore that topic for a second. ​What you may not realize is that most cases of hyperthyroidism are caused by an autoimmune disease. It's also even more interesting when you consider that most cases of hypothyroidism (Hashimoto's thyroiditis) are also caused by autoimmune disease! That means the two most common causes of thyroid related issues are related to immunity and your own body. This is really important when it comes to treatment (which we will discuss later), but for now, we need to talk about the weight issue. As circulating levels of thyroid hormone increase your serum your body starts to become hyperthyroid. ​These symptoms indicate that there is TOO much thyroid hormone in your body. So, obviously, as you experience these symptoms what do you do? You go the Doctor, get diagnosed and immediately get treatment (2). And THIS is how and why most people with hyperthyroidism start to gain weight - the treatment. In effect what your Doctor is doing is turning you HYPOthyroid instead of HYPERthyroid. And weight gain is the primary symptom of hypothyroidism. Once you start treatment you shift from the realm of hyperthyroidism to hypothyroidism even though you are technically diagnosed with hyperthyroidism. What's interesting is that ﻿patients who WERE hyperthyroid but get treatment (3) (even with thyroid hormone replacement) STILL gain weight. ​Does this mean you should stop taking your thyroid medication? But this is where the treatment of hyperthyroidism comes into play. If you can reduce the autoimmune disease causing your hyperthyroidism you should be able to reduce the medication that you are taking that is causing you to gain weight. In most cases, patients with hyperthyroidism eventually undergo either a thyroidectomy or radioactive iodine ablation therapy. What's unfortunate is that studies have shown that regardless of what treatment you use for hyperthyroidism you will gain weight after. 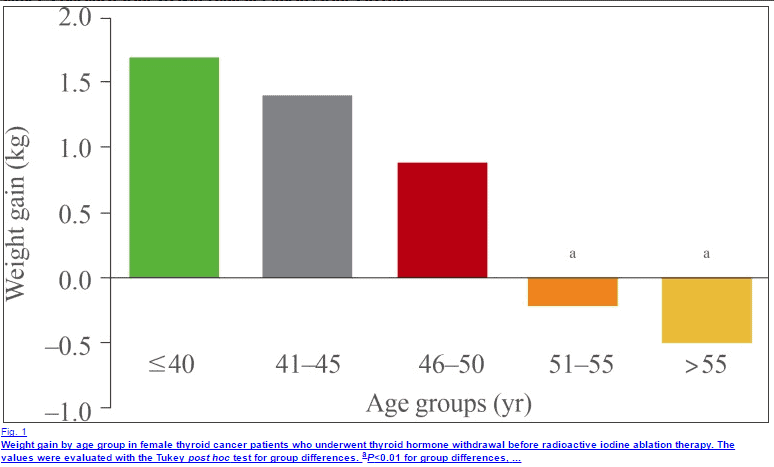 R﻿esearchers have found that patients who undergo radioactive iodine ablation, thyroidectomy (4) or take hyperthyroid medication will gain on average anywhere from 10-25 pounds within the first 3 months of therapy. ​Let's talk about these various therapies and how they work. Methimazole works by preventing your body from producing thyroid hormone and it also promotes the conversion of T4 (5) into the inactive thyroid metabolite reverse T3. By taking this medication you are effectively reducing thyroid hormone function and making yourself hypothyroid. Now, this is obviously necessary if you have high circulating levels of thyroid hormone, to begin with, but this medication is difficult to fine tune. That means it's easy to either over treat (causing hypothyroidism and weight gain) or undertreat (leaving you with symptoms of hyperthyroidism). Because of these issues, methimazole generally isn't used long term which leads to thyroidectomy (thyroid removal) or RAI (ablation of the thyroid gland). Thyroidectomy refers to the removal of the thyroid gland. Once your thyroid gland is removed you will be hypothyroid immediately and you will become reliant upon thyroid hormone replacement for the rest of your life. The main issue with thyroidectomy is that we really don't do a great job of replacing thyroid hormone, to begin with. So as a result, most thyroidectomy patients are undertreated and gain weight. If possible, it's always better to try and keep your thyroid. Radioactive iodine ablation refers to the process of basically damaging your thyroid through ablation therapy. This process results in thyroidal gland damage and, depending on the degree of damage, usually leaves the patient hypothyroid and requiring thyroid hormone replacement. I've written a case study on a patient who underwent RAI therapy and had about 30% of her thyroid remaining but never received thyroid hormone replacement. She gained weight, but once she was placed on proper thyroid replacement she was able to lose weight and start feeling good again. Another potential treatment for hyperthyroidism is the use of Beta blockers. These medications really only act to reduce the effects of circulating thyroid hormones by reducing T4 to T3 conversion (6) and blocking the receptor effects of thyroid hormone. Because of this mechanism of action, they are really only used temporarily or until you can get a thyroidectomy or RAI. If you have your thyroid then you should focus on reducing thyroid antibodies that cause hyperthyroidism. 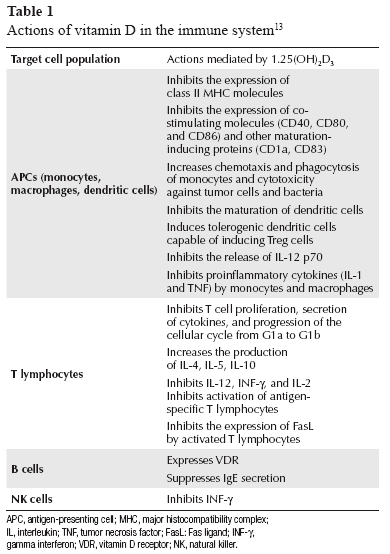 You can actually check for these antibodies with the TSI serum test. This test evaluates for thyroid stimulating immunoglobulins and it is these guys that basically sit on your thyroid hormone and cause it to pump out excessive amounts of thyroid hormone. But the good news is that you might be able to reduce these antibodies with some targeted therapies. This will go a long way to reducing the amount of thyroid hormone you are producing naturally and may help you to reduce your medication. If you can reduce your antithyroid medication (like methimazole) down to half of what it was, or even go off of it completely, then you will dramatically improve your metabolism. Address your diet: The first thing you will want to do is clean up your diet. That may include adopting a strict diet such as the paleo diet, the autoimmune paleo diet or a gluten-free diet. Believe it or not, making these simple changes can dramatically improve your symptoms and may improve your antibody levels. The same diets that are helpful for people with Hashimoto's thyroiditis can be used to treat Hyperthyroidism caused by Graves disease. You can read more about these diets here. Consider using LDN: LDN stands for low dose naltrexone. This is a medication that has been shown to balance immune function and has been shown to be effective in treating certain autoimmune diseases (7). In addition, LDN can also directly help with weight loss by itself making it the perfect therapy for someone with hyperthyroidism and weight gain. You can read more about LDN for weight loss here. Replace nutrient deficiencies: Nutrient deficiencies such as Zinc, Vitamin D and an imbalance of omega 3 fatty acids can promote immune dysfunction. Treating and addressing these nutrients is absolutely critical in balancing your immune function. Low vitamin D (8) has been associated with an increased risk of developing autoimmune disease, and zinc has been shown to boost immune function (9) in some patients. You can read more about using fish oil to boost immune function and to promote weight loss here. You can also find more information about general nutrient deficiencies and how to replace them here. Treat GI related issues: Many cases of autoimmune disease start with increased intestinal permeability (leaky gut) which causes a condition known as molecular mimicry. You can reduce the risk of developing autoimmune disease by treating any GI issue such as IBS, acid reflux, SIBO/SIFO or gut dysbiosis. Altering the bacteria in your GI tract can improve immune function and reducing inflammation is necessary to restore epithelial cell tight junctions. Consider using Iodine: Iodine has been shown to act as a potent blocker of thyroid hormone in high doses. High doses of iodine act very similarly to methimazole in that it directly blocks the release of thyroid hormone from the thyroid gland. Using iodine in hyperthyroidism is a known treatment and may be preferable to other treatments in certain patients. If you decide to use iodine you will need to use high doses ranging from 25 to 50mg. You can read more about using iodine here. Consider Testosterone or other androgens: Another important consideration is the use of the hormones testosterone and DHEA. One of the reasons that women get autoimmune diseases 10x more than men is felt to be related to the fact that their testosterone levels are lower. If you couple this with the fact that testosterone and DHEA have been shown to play a role in immune function (10) you have a serious reason to consider using these supplements for Grave's disease or hyperthyroidism. Zinc: Zinc can improve T4 to T3 conversion while balancing immune function. Take up to 60mg per day. Liquid Vitamin D3: Vitamin D3 can improve immune function. Your Vitamin D level should be at least 50 ng/mL if you have an autoimmune disease or thyroid issue. Take 1,000 to 5,000 IU per day until your serum vitamin D level reaches 50 ng/mL. Magnesium glycinate: Patients with thyroid problems frequently have magnesium deficiencies and magnesium has been shown to be a powerful immunomodulator (11). Krill﻿ oil with astaxanthin: Fish oil promotes weight loss and helps balance immune function, it also is a powerful anti-inflammatory agent which can indirectly improve thyroid function. Iodine: Iodine is required for thyroid hormone production and iodine can actually be therapeutic in cases of hyperthyroidism. If you've already had your thyroid taken out (you are post thyroidectomy) or you've had radioactive iodine ablation, then you are going to be reliant upon thyroid medication. If you've had your thyroid taken out you are no longer hyperthyroid, you are now HYPOthyroid. Because your body can no longer produce thyroid hormone on its own - you now need to supplement with thyroid hormone replacement. Patients who have had their thyroid removed or who have undergone RAI almost ALWAYS gain weight (usually at least 20 pounds) but sometimes even more. Studies have shown this to be the case (12). Consider adding T3 thyroid medication to your regiment: Most patients after thyroidectomy or RAI will need some form of T3 thyroid hormone for weight loss. This includes medications such as Armour thyroid, Cytomel, WP thyroid, and Nature-throid. Getting these medications can be difficult but you can refer to the links above to understand how to use them effectively. Optimize your free T3 levels with supplements: In order for thyroid hormone to be active, your body must convert the inactive T4 to the active T3. Most thyroid medications come in the inactive form which means your body must activate them before it can use them. Unfortunately, this process can be slowed down by inflammation or nutrient deficiencies so you must optimize this conversion process if you want to feel better. You can learn more about optimizing your free T3 levels here. Treat other hormone imbalances in your body: Once you remove your thyroid you are susceptible to developing hormone imbalances that make weight loss almost impossible. I'm specifically talking about leptin resistance. This condition must be treated to maximize weight loss. Don't restrict your calories: Restricting your calories is tempting for people who want to lose weight, but it always results in metabolic damage and a slower than normal metabolism. In fact the more you damage your metabolism, the more you undergo calorie-restricted diets, the harder it will be for you to lose weight. The effect is well established and has been proven in studies like the biggest loser study (13). Exercise, but not too much: Exercising is helpful, but only to a certain degree. You will not be able to exercise your weight off if your thyroid has been removed, but it can still help promote hormone balance. Make sure you are exercising enough to promote the benefits without causing negative side effects like over stimulation of cortisol. This is just a quick overview of the available therapies for patients who want to lose weight after RAI and thyroidectomy. If you want a step by step guide I recommend you check out my weight loss guide which outlines exactly how to lose weight with thyroid problems. ​You're not crazy if you are gaining weight with hyperthyroidism! It's a very common condition and it results from the TREATMENT of hyperthyroidism. The medications and therapies designed to treat this condition all revolve around reducing thyroid hormone which directly reduces your metabolism and leads to weight gain. Because of this, it's worth exploring other therapies and options to help prevent this weight gain and to help with weight loss. Has anything helped you? Why or why not?